Indonesia is one of the largest democratic countries in the world. Legislative elections and presidential election 2014 have passed quite well, although there are still many problems in terms of implementation. Mass media is also one of the freest in the world. The General Election Commission (KPU) is now preparing the implementation of the Regional Head Election simultaneously in the first wave on December 9, 2015, for the regional head and regional deputy head towards the end of the term of service in 2015 and the first half of 2016. Registration of candidates for regional head election in the first wave simultaneously had started on July 26-28, 2015, provided that the candidate promoted by political parties with seat acquisition of 20 percent or 25 percent of valid votes, got a decree from the central leadership of the party, got the management Decree of political parties in Regency, City and the Provincial Level. This simultaneous election modelis the first time in Indonesia, even in the world. Indonesia should be recorded in the history of world democracy because there will be 269 regions consisting of 9 provinces, 36 cities and 224 regencies simultaneously elect regional heads. That is, about 53 percent of the total 537 number of provinces and regencies / cities in Indonesia that will carry out elections simultaneously at the end of the first wave of 2015 into the ideal design, ie the simultaneous nationwide to choose the House of Representatives, Regional Representatives, the President and Vice President, as well as simultaneously to choose the regional heads and the DPRD at the provincial, regency and city level. After the elections simultaneously in 2015 in 269 regions, there will be followed by a second wave of simultaneous elections in February 2017 in 99 regions, the third wave in June 2018 in the 171 regions. Then another one wave will be implemented simultaneously again until towards the national elections in 2027. Of course this is not an easy thing to do, because there are a lot of challenges to be faced. Some have suggested that the implementation of simultaneous elections should be postponed for various reasons, including budget issues, human resources, and handling disputes. Financial Supervisory Agency (BPK), for example, has issued a number of recommendations related to audit issues and the preparation of elections simultaneously in 2015 concerning, among others, about the unpreparedness of the budget, the signing of the regional grant agreement, plan budgets, grants account and security costs. Nevertheless, the president Jokowi ensure the implementation of the first wave of simultaneous elections later remains on schedule, considering the preparations have been riped and in accordance with the stages. The Government and the Commission determined to rectify the deficiencies discovered by the CPC. Therefore, perhaps it is only natural disasters, social conflict, or war which could make simultaneous elections in Indonesia withdrew from the schedule. This paper saw eight crucial problems in the implementation of the first wave of simultaneous elections that will start on December 9, 2015. The elections simultaneously are heavier than the legislative and presidential elections. Competition of elections at lower levels is prone to security problems. The political dynamics in these areas are more difficult to predict. Because the strength of the local politicians have started immeasurable, both in terms of number of supporters, the distribution of influence, as well as the patronage of the party elite in central power. Approximately 827 pairs of regional leader’s candidates will compete in the first wave of simultaneous elections. Based on data from the Ministry of Internal Affairs, the losses on recapitulation of the post-election in 2013-2014 at the provincial and regency and city level tend to increasingly high, the number of victims died are 59 people, injured are 230 people, damage to residential houses are 279 units, the damage to local government offices are 30 units, six police office units, and Election Commission (KPU) offices are 10 units, 159 public facilities in disrepair, also 11 offices of political parties, 3 offices of mass media, 25 vehicles, and also 1 shopping stores. Potential conflicts especially in areas that have a conflict-prone maps, such as in Sumatra, Madura, Central Sulawesi, Maluku, East Nusa Tenggara and Papua. Assault incidents of Eid prayer congregation and the burning of mosques in Karubaga, Tolikara, Papua, on July 17, 2015 can be a leasson to anticipate ahead of elections later. So effective coordination between the Central Government, Local Government, Election Commission, the Election Supervisory Body (Bawaslu), police, military, and also the State Intelligence Agency (BIN) is needed. The main challenge for the holding of simultaneous elections later is to minimize conflicts in its implementation. Conflict pattern occurs mostly among election participants and supporters accompanied by anarchy and destruction of public facilities. Source of conflict is generally from unelected elite or who can not accept the victory of another candidates. Potential conflicts in 2015 elections is very high because it is done in areas involving various parties and only lasted one lap. No elections are devoid of conflict. Not neutrality of the electoral administration in the area is also a source of conflict. The regional head office in autonomy era is so attractive in the eyes of search powers for extraordinary authority to manage the full regional head of each region. That position could make a regional head like a little king with great power. Organizing simultaneous elections is the biggest celebration in the reign of President Jokowi, which can create an aura of competition and passion of the candidates to contest. The organization of elections in the regions are mostly technical work, such as the nomination of candidates, ballot paper making and ballot boxes, sending results of the voting on the national committee, counting, distribution of seats and so on. The existence of the impartial or independent election organizing committee greatly determines the quality of democratic elections. The General Election Commission (KPU) and the Election Supervisory Body (Bawaslu) is the institutions established by the government and given the freedom to organize the stages of the election. From the data of Election Honorary Council (DKPP) until now there are 207 electoral organizers who had been fired. DKPP has received 740 complaints related to codes of conduct of legislative elections and the presidential election in 2014, which contains 3,960 names of election organizers, both of the KPU and Bawaslu at the level of the central, provincial, and district and city. Election organizers simultaneously in the regions later should be neutral in carrying out each stage of the election, instead of 'collusion' with the local bureaucracy or into a successful team of competing candidates of regional heads. Neutrality of the election organizers will make the elections simultaneously be qualified, credible, and avoid conflict. The responsibility of organizing regional elections should be able to increase voter participation and minimize potential fraud that might occur, such as inflation and the reduction of noise, phantom voters, multiple voting, or voters who eliminated their right to vote. List of Permanent Voters (DPT) will remain a crucial issue and the object of the dispute. Moreover, polling stations (TPS) are very vulnerable in the intervention, especially in remote areas. The most crucial is the population data that until now have not been able to cover the entire population, especially those living outside the area. Ministry of Internal Affairs has submitted a list of Potential Voters in Elections (DP4) to the Commission which are used as data in arranging voter registration of simultaneous election. The number of voters have been recorded in the Ministry of Internal Affairs until now has reached 102 068 million people. The amount represents the total number of potential voters in the list that will follow the election of 269 Regional Head and Deputy Regional Head on December 9, 2015. Total registered voters exceeded 50 percent of the voters that gives right to vote on the 2014 Presidential Election. Total 269 regions that hold elections have exceeded 50 percent of the total of 514 regions in Indonesia. 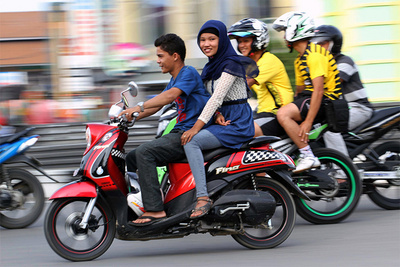 Unfortunately, the election system in Indonesia do not consider the mobility of the population that is already very high. Residences are still statically defined. In fact, many people are outside the official address, including overseas, because of jobs and education. Governments need to create the population administration system and Pilkada system that can accommodate the mobility of people who are very varied. There is injustice to the voters in the regional election system. Article 56, paragraph 3 Perppu No. 1/2014 on the election of Governors, Regents, and Mayors, said if voters have more than one residence, the voter must select one residence listed in the voter list based on E-ID Card or certificate of domicile from the village chief. But there is a different treatment if a person wants to run for governor, regent or mayor. The candidates can run in an area that is not domicile. 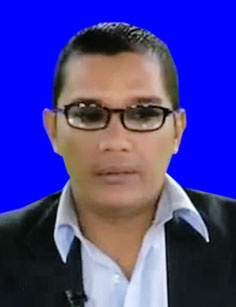 For example, when the election for Governor of Jakarta in 2012, Joko Widodo (Jokowi) was still served as mayor of Solo. Someone is possible to be a candidate for regional head in areas that is not domicile. It means, residential status can be more than one place. However, this flexibility does not apply to voters. Another problem is that not all people have e-ID Card because it is outside the eligible categories such as bums, beggars, migrant workers, domestic workers, and the like. They do not have an e-ID card so they can not involve in the election. It means, not all people have the right to vote because of their poverty. Not to mention also a matter of voters who have died but are still registered as voters, or voters who are registered at two different locations. The General Election Commission (KPU) had to revise Commission Regulation (PKPU) Number 9 of 2015 on the nomination by adding a 'reconciliation limited' for the sake of allowing the party who has' double management, such as the Golkar Party and the United Development Party (PPP) to nominate candidates for regional heads together. In addition the candidate must submit the same pair, the two camps double management of political parties must also file the candidate pairs at the same time. Before the revision, regional head candidates must come from the political parties whose staff are recognized by government or have the Decree of the Minister of Justice and Human Rights (Menkumham). Dualism of leadership in the Golkar and PPP can also cause serious problems for vulnerable civil suit and of interests of each camp. Actually, the laws on political parties does not recognize dual management. While the stages of the elections are still running, the conflict in the body of Golkar and PPP whose legitimacy will be decided later in the court that had the legally enforceable decision (inkracht). Why did the Commission need to accommodate the participation of Golkar and PPP in the simultaneous elections of 2015? The votes of both parties (Golkar and PPP) reached more than 26.5 million votes in the 2014 election. That is, the two parties accounted for more than 21 percent of valid votes in the election. Achievement of seats from the two parties reach 130 seats. This means exceed the number of seats of the Struggle Indonesian Democratic Party (PDIP) as the winner of the election that is only about 118 seats. At the local level, PPP as a whole has 1,400 seats, while Golkar has about 3,000-seats. Judging from these data, Golkar and PPP are quite significant in political and legal decision-making, at the local level and the central level. PKPU revision is done not only to facilitate the dualism of leadership in the party of Golkar and PPP alone to participate in the elections, but also to comply with the decision of the Constitutional Court (MK). Thus, the revision also includes rules to permit family of incumbent to advance in the election, and requires that members of the parliament (DPR / DPD / DPRD) resigned their positions when they have been determined as candidates by the Commission. Previously, members of parliament (DPR / DPD / DPRD) are only required to report to the leadership of each institution. Of course this affects the political map of the nomination from all the political parties participating in the elections simultaneously in 2015. Many parliament members who subsequently withdraw as candidates for regional heada, otherwise a lot of the family members from the incumbents, even former inmates come forward to compete in the simultaneous elections next December 9, 2015. Another problem is the possibility if there is only one single candidate in an region. Commission Regulation No. 12 of 2015 set the whole stage of regional elections are stopped and postponed on next simultaneous election in 2017, if there is only a single candidate for the regional head after the extension of registration for 3 days. Steps must be done because the elections are held simultaneously in December 2015. Automatically, if there is one region that stage is only delayed, it will affect the overall implementation. However, the goal of the simultaneous election of regional heads is simultaneously inauguration, so that the end of their services are also simultaneous. There should be no regions that followed, except participate again in 2017. The Commission does not want to wait until the region has additional candidates for regional heads for a limited time. If the elections in an region later have to be 'put on hold, then the position will be filled by the regional head of the temporary officials, or officers while being taken from staff transfer. There are 15 regions that potentially have only a single candidate in the simultaneous elections in the first wave. Incumbent candidates are too strong making the whole political parties carry the same pair to run for regional heads. But it could happen in regions with strong incumbent do stratagem in order registering candidates not just one pair, namely by generating candidate pairs for regional head doll (false) as a challenger, could be independent pathway or request some political party that carried them. Legally regulation doll candidate is not problematic in the Commission if it meets the requirements. However, from a political education, it is a setback to democracy. Single candidate is likely to occur in simultaneous elections later. This is evident from the higher minimum support candidates from political parties to 20 percent of parliament seats, or 25 percent of valid votes of the election results last year. Conditions that make the coalition become more stringent. In addition, individual candidates from independent pathway will also a difficulty become competitor, because of time constraints and the severity of a support condition. Especially against the strong incumbent supported by political parties it is tantamount to wasting the cost. Until recently, most political parties chose to support a strong candidate to win. In this simultaneous regional election, coalition parties of supporting the government, namely the Superb Indonesian Coalition (KIH) is very liquid with balancing coalition parties of government, or the Red and White Coalition (KMP) in proposing candidates for regional head. However, 'political dowry' that is raised each political party is also still looks like the tip of the iceberg that is difficult to remove. Many unscrupulous parties will utilize the elections to gain political dowry from the prospective regional heads. Instead, many pairs as regional head candidates that offer dowry can be able to qualify the support of 20 percent. The issue is initially exists in poor political party cadres and the weak party funding. People can only vote for candidates who submitted it. If the incumbent is qualified and well developed, it deserves to be reelected. The problem is that no quality incumbent but also prepare candidates for a doll that can be defeated in the next election. Prospective doll could be the choice of strategy for winning in the simultaneous elections. It is also the solution to anticipate a strong candidate for the regional head to remain chosen without delaying the implementation of the next elections in 2017. Candidates 'dolls' can also appear with the only aim to break down opponents who are considered the dominant voice in an region, especially in the region of three pairs of prospective candidates. But if the elections take place with only one candidate it could be a bad precedent for election implementation in other regions, because there are local leaders who have the power to monopolize the political parties in the regions. There is no choice of candidates, certainly not democratic. The Constitutional Court (MK) removes the restriction clause on prohibition of incumbent family or political dynasty in the election law. According to the Court, the 1945 Constitution gives equal rights to all citizens to use their constitutional rights, namely the right to vote and be elected, including former inmates. The Constitutional Court's decision could open up a gap of one family control of certain regions, because the political rights of the incumbent relatives in the election is not removed. In 2013 there were as many as 61 regional heads, or 11 percent of all regional heads in Indonesia having kinship political networks or political dynasty. Ironically, from experiences that occur in almost every contestation of the elections that followed by the incumbent, often found the game of local budgets to the needs of the campaign. PNS subordinates that are supposed to apply neutral are often the incumbent winning team. Mobilization and politicization of civil servants are inevitable. The potential for corruption and violations or abuse of power by local bureaucracy increases. Because the Constitutional Court's decision is final and binding, then today society need to be given the political aspects of socialization and education in order to more critically assess the regional head candidates who will compete in the simultaneous elections later. However society that has the rights to vote determine how the future of the regional head candidate who comes from a political dynasty. Moreover, the people of Indonesia are still many irrational voters. Gaetano Mosca once wrote in his book "The rulling Class", that almost in every class or nation will always be a tendency to build a tradition handed down in reality, if not in law. Oligarchy is an inevitable Iron law. And political dynasty in Indonesia is a necessity in a democracy now because it comes from the old oligarchy and patrimonial culture. The emergence of dynastic politics is directly proportional to the unhealthy political competition. Increasingly unfair rules of the game in political contestation, promotes wider political dynasty. The democratic process in Indonesia raises many opportunities for corruption. Because the democratic process in this country requires a huge cost. Regional election always had negative tendencies, ie transactional politics. In fact as many as 346 regional heads and deputy regional heads tangled legal cases. A total of 11.45 percent of the approximately 500 regencies thick with dynasty politics. In addition, many of the elections results in the past were broken joint between the head and deputy head of the regions. Currently there is no criminal chapter on money politics and the criminal chapter on the political dowry thus causing dirty political practices in the elections. Simultaneous Regional Election 2015 budget swell to Rp 7 trillion compared to the implementation of the previous elections. There are three factors that influence. First, the inflation factor that can affect the value of the goods in the regions. Secondly, amounting to 65 percent of the total budget for the elections will be used to pay salaries of Voting Committee (PPS), District Election Committee (PPK) and Voting Organizer Group (KPPS). Third, based on Law No. 8 of 2015 on Regional Elections, the local government is obliged to bear almost all participants of the election campaign costs in 2015. Only two types of election campaigns are borne by participants themselves, ie limited campaign and dialogue campaign. Implementation of the simultaneous election is originally meant to reduce the high cost of politics and money politics turn out to be an illusion. Financing campaign charged to revenue and expenditure budget can actually increase money politics. Regional head candidates would have more funds in view of campaign financing that become the responsibility of Regional Election Commission. By doing so, the candidates will have more funds to carry out the practice of vote-buying. Money politics also can occur when optimizing campaigns at the limited meeting. They can take advantage of unlimited meetings, where money politics is packaged in such a way in the meeting. Simultaneous regional elections in 2015 will be rife of money politics, in addition to political dowry, voters buying, that are also used to bribe electoral administration in the regions. In addition, the use of campaign funds would also be a vulnerable point for the implementation of simultaneous elections, and misused to improve electability of candidates. Election campaign is more widely used as imaging media, not apply for a work program. Also the 'game' between the candidates by state officials still leaves a problem in any election in Indonesia until now. Education and political socialization to voters take lack of decent places. Misappropriation of budgetary funds and state facilities can also occur, such as social grants (Bansos), school operational funds (BOS), and funds from the budget, as well as vehicle or building facilities into a campaign tool. Elections Supervisory Board (Bawaslu) is not given the authority to execute the offense. Therefore, Bawaslu action is limited to giving recommendations. If the violations are administrative, submitted to the Commission and forwarded to the police. Simultaneous handling of cases of electoral violations this year will refer to the two laws. In addition to using the Law of the Elections, a number of violations will be processed by using the Criminal Code, such as inflate the voices and the problem of money politics. Money politics will be charged under Article 149 of the Criminal Code concerning bribery in elections, under penalty of nine months in prison. Perpetrators of votes are subject to Article 263 of the Criminal Code on forgery penalties of six years in prison. If there is a criminal offense, the police soon take over. For administrative violations, the Provincial Election Supervisory Committee (Panwaslu) directly provide recommendations to the Local Commission. Statements relating to the code of conduct is directly forwarded to DKPP. For disputes between participants and the Commission, the case will be solved alone by the Supervisory Committee. Another important aspect is the matter of time limits of 45 days (including holidays) for the Constitutional Court (MK) in handling disputes of the election results. The Court will not be able to handle the dispute lawsuit of election results if more than 50 percent of the simultaneous election resulted in the Court, moreover there are 269 elections in the first wave later on December 9, 2015. The assumption, the Court had only 37 minutes to finish the one case. Therefore, it is quite natural that the Court then asks the number of days increased to 60 working days from receipt of the request. It also became one of the driving so that the revision of Law No. 8 of 2011 regarding the Constitutional Court is limited, because the Court has not set the authority in dealing with election disputes. To date the Court only handles election disputes. The Supreme Court (MA) - mandated to adjudicate election disputes in the regional election law - considered not ready to settle the dispute in 2015 simultaneous regional elections, because of its human resources. The successful indicators of the simultaneous and massive regional elections in Indonesia later can take place peaceful and relatively free of the various modes of cheating. Credibility of regional election organizers is at stake in the regions, let alone a first test of the simultaneous elections held. Likewise with the Constitutional Court which was given the role of resolving disputes of regional election results, the future should be promoted for a special agency to resolve election disputes outside of the Constitutional Court or the Supreme Court. The government also needs to regulate population administration system that can accommodate a very varied population mobility to be put into list of legitimate voters. Therefore, updating the voters' data is an absolute necessity. Conflict, money politics and political dynasty, will still color the implementation of simultaneous regional elections on December 9, 2015 in Indonesia. Corruption Eradication Commission (KPK) has an important task to verify the entire State Officials Wealth Report (LHKPN) registered by the regional head candidates, to be opened and made known to the wider community at large. Public participation is essential to oversee and monitor the regional head candidates, misappropriation of funds related to social assistance and grants for the campaign and capture votes. Neutrality of Civil Servants (PNS) also must be enforced, by prohibiting engage in campaign activities, whether a member or involved in it. Ministry of Administrative and Bureaucratic Reform can open a complaint service about the involvement of civil society in influencing voters and give strict punishment for civil servants who become involved in the election. KPU through an independent auditor should audit all finance of political parties, especially concerning the funding of cadres and outsiders. Bawaslu from central and local levels should optimize their role to take action against the perpetrators of money politics. In prediction, candidates of independent pathway has also difficulties in this simultaneous election. Due to increasing electability, there are more advantageous for the candidate promoted by political parties. Independent candidates must have a minimum requirement of 80 percent popularity. Moreover, if you look at previous experience, very few candidates were elected as regional heads coming from independent paths. Even if elected, they will also have difficulties when running the government program, because they have to deal with Parliament who comes from political parties. Problems can also arise if there is a candidate who is a cadre of a particular political party, but it was carried forward as a candidate by the other political parties because his own political party to support another candidate. Looking ahead to reform political parties should continue to be done in a comprehensive manner, especially concerning rules, campaigns and financial budget. Law also needs to be changed, do not need a quota of 20 percent of seats, but every political party that has seats in parliament could propose regional head candidates. Or political parties and coalitions of political parties can still register the candidate with the minimum quota of 20 percent of parliament seats, but with a maximum of 50 percent of the seats. Terms of candidates from independent pathway also needs to be alleviated. In addition, the recruitment process of political parties also need to be open and democratic. In the future, the General Election Commission (KPU) should continue to conduct a study for the implementation of electronic elections (e-voting, e-recap, e-counting) and build public confidence (trust) for these technologies. Of course, all have to start first with the integrity and independence of the electoral administration which is currently implementing in the first wave of simultaneous elections on December 9, 2015 later.